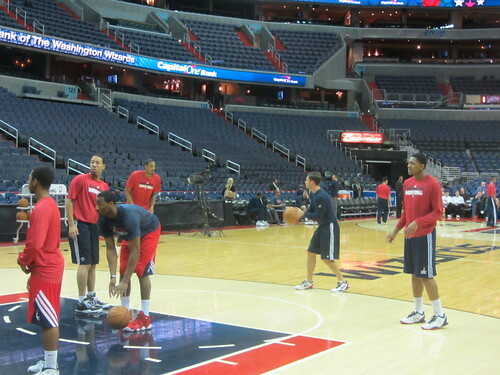 It was the sight that all Washington Wizards fans had been waiting for since 2012 draft night: John Wall and Bradley Beal on the Verizon Center court together playing hoops. 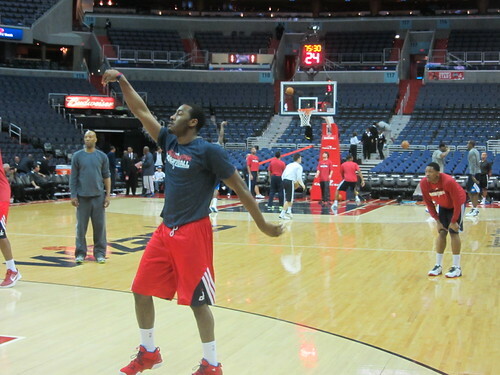 Granted, it was just Beal and Wall partaking in individual warm-ups before the Wizards tipped-off against the Oklahoma City Thunder. But after the doldrums this team has been through this season, it was a refreshing sight nonetheless. We know a couple things about Wall’s return. During Comcast’s broadcast of last Friday’s game versus the Brooklyn Nets, Steve Buckhantz said that Wall indicated he wanted to come back in next “week or two.” The next day, Sports Illustrated’s Chris Mannix also reported, via “sources,” that Wall would make his debut “within the next two weeks.” Today, A.J. Price returned from a fractured hand and the Wizards waived point guard Shelvin Mack. 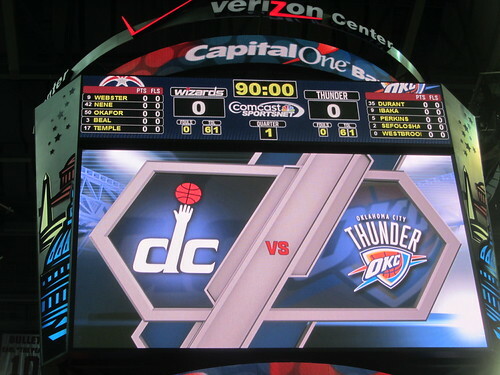 After facing the Thunder, Washington will have four days off before hosting the Atlanta Hawks… on Saturday. 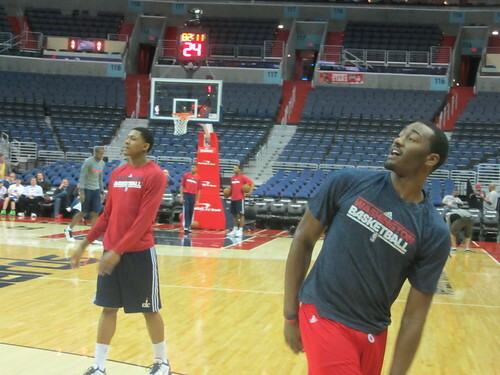 For those still depressed over RG3 and the Redskins, Wall’s return to the basketball court could be a sliver of hope. We will see….